. LENKENG 1 in 4 out, 4K2K HDMI Splitter. HDMI splitter & extender. LENKENG 1 in 4 out, 4K2K HDMI Splitter. HDMI splitter & extender. 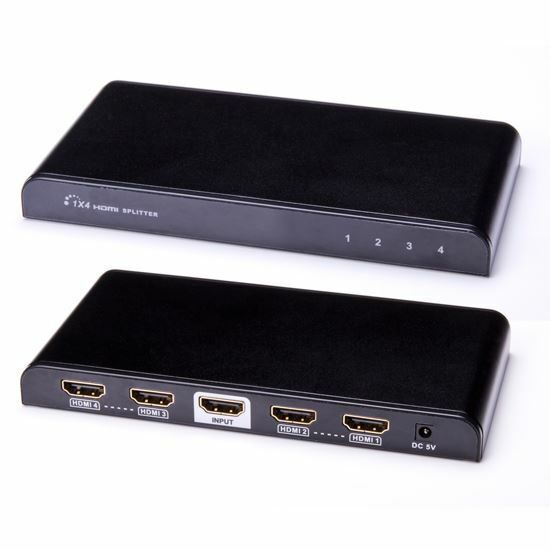 This LKV314PRO 4K2K, 1 × 4 HDMI Splitter distributes 1 way HDMI signal from STB, DVD Blu-ray players or PS3 etc. to 4x HDMI signals - connecting projector, DLP, LCD or other HD displays simultaneously. Distributes 1x HDMI source to 4x HDMI Displays simultaneously. Supports Digital Audio Format, such as High Definition Audio support: Dolby TrueHD, and DTS-HD Master Audio.